Watch this short video to get to know more about Bart Nay Printing and what we are all about. 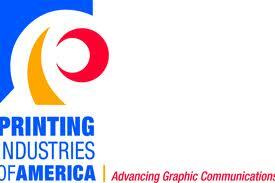 As a leading-edge Houston printer, we understand the constantly changing business market. 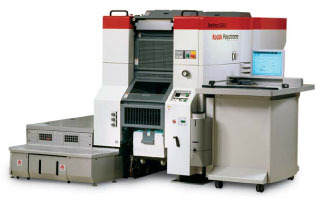 The demand for high-quality color printing is growing while run lengths and production cycle times are shrinking. Customers now expect overnight deliveries, digital printing and transmission and instant communication. And that’s fine with us. At Bart Nay Printing, we aim to be the most agile and versatile Houston print shop, specializing in quick turnaround times, fast, high-quality color printing and outstanding customer service. We understand that advertising budgets are now focused on target markets and measurable results, and it no longer makes sense to print marketing materials in large volumes for economy of scale. Shorter, more targeted runs are the new normal for digital printing, and they are revised and reprinted as market conditions change and evolve. As a supplement to our existing four-color printing capabilities, we’re now able to offer the latest printing technology to our customers in Houston and beyond with the Presstek 5634 DI Press: A Smarter Way to Print. The Presstek 5634 DI Press will produce the highest quality short-run color printing, which is exactly what you should expect from a leading Houston print service. This waterless offset press is the most environmentally friendly offset press on the market. To learn how we can help you reduce the environmental impact of your business printing, call us at 713-468-8602. To place an order or get help with a new project, visit our Customer Service Center. To download software and find helpful information, visit Resources & Support. To learn more about us, browse through Company Information. At Bart Nay Printing, our goal is to provide you with the best color and digital printing available among all Houston printers. We are a print shop dedicated to meeting the always-changing demands of our customers and exceeding your expectations as Houston’s most trusted print shop.